The San Bernardino County Clerk’s office is preparing for one of the busiest days of the year as couples make plans to marry on Valentine’s Day. “Most couples know they need a marriage license to legally tie the knot, but that’s not the only marriage service you’ll find at the San Bernardino County Hall of Records” said Bob Dutton, San Bernardino County’s Assessor-Recorder-Clerk. “Marriage ceremonies are also conducted by the County Clerk’s office. The civil ceremony costs $65 and appointments are available at our main office in San Bernardino as well as our satellite offices located in Hesperia and Joshua Tree. As you might expect, Valentine’s Day is a very popular day to get married at the Hall of Records. 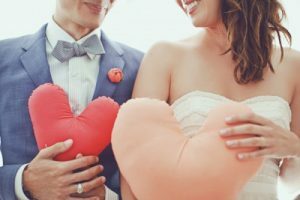 Seventy-four couples were wed over the 2016 Valentine’s Day weekend and numbers are expected to be high this year as well. Ceremonies will be conducted from 8 a.m. to 4:30 p.m. on Tuesday, Feb. 14. Walk-ins are welcome at our San Bernardino and Hesperia locations, however appointments are encouraged. Appointments are required for Joshua Tree. To book your ceremony, please call (855) 732-2575 to reach the San Bernardino Hall of Records and (760) 995-8065 for appointments in Hesperia and Joshua Tree. 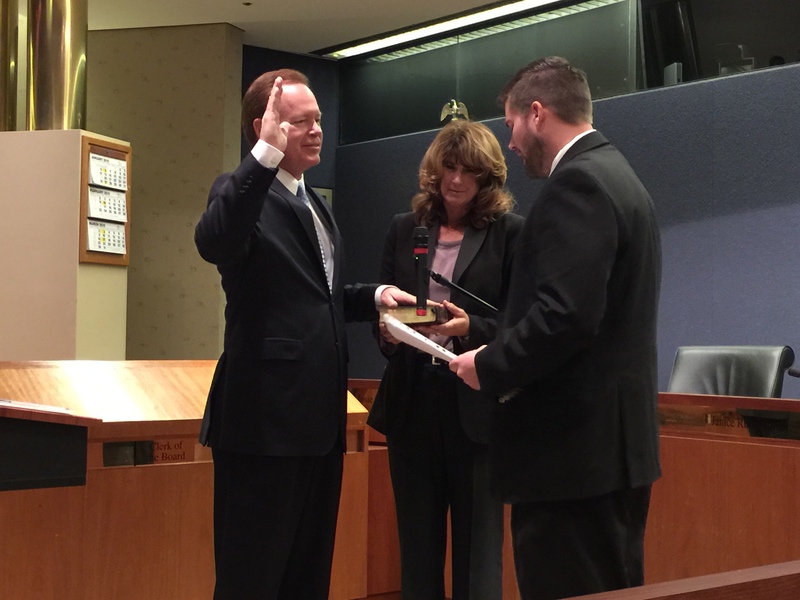 Larry Walker was sworn in today as the County’s Auditor-Controller/Treasurer/Tax Collector. Walker has served in this office since December, 1998, following his election in June 1998. He was re-elected in 2002 and 2006, 2010, and 2014. Walker also served as County Recorder and County Clerk from 1998 to 2011. Prior to that, Walker was elected to the San Bernardino County Board of Supervisors in 1986, 1990 and 1994, and served as Chair of the Board from 1991 to 1993. Walker has also served as elected Mayor of Chino from 1980 to 1986, and as a City Council member from 1978 to 1980. 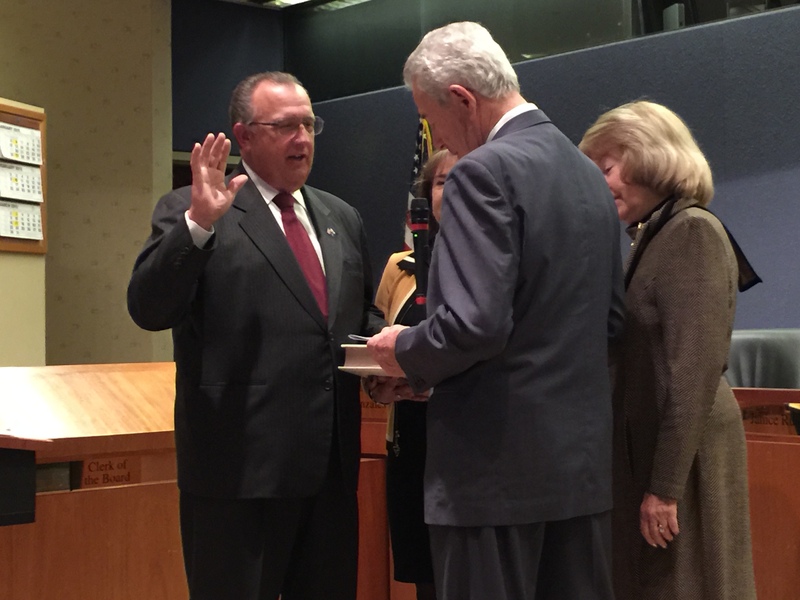 Bob Dutton was sworn in today as the County’s Assessor-Recorder-County Clerk. Dutton won his first election to the Rancho Cucamonga City Council in 1998 and was re-elected in 2000. In 2002, Dutton was elected to the State Assembly. In 2004, he successfully ran for the State Senate where he represented portions of San Bernardino and Riverside Counties. 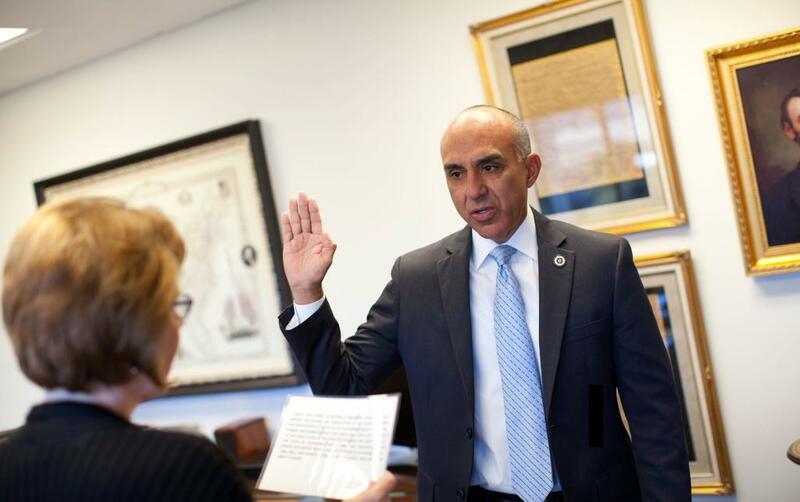 Michael A. Ramos was sworn in today as the County’s District Attorney. Ramos’ government service began in 1980, where he started as a group counselor with the Probation Department and then later became a Probation Officer. He started his career with the District Attorney’s Office in June 1989 as a Deputy District Attorney. In addition to his work in general prosecution and the narcotics unit, he served with the Major Crimes Unit for four years, until 2002, when he was first elected District Attorney for San Bernardino County. Love was in the air in San Bernardino County on Valentine’s Day. The County Clerk’s office performed 118 civil marriage ceremonies on Friday, which was a significant increase over the 68 ceremonies performed on Valentine’s Day 2103. The Assessor-Recorder-County Clerk’s office attributes the bump to this year’s Valentine’s Day falling on a Friday leading into a three-day holiday weekend for many people, and the spectacular spring-like weather. On a typical Friday, the County performs about 29 marriage ceremonies. 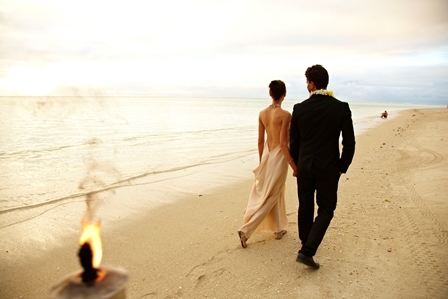 Love is free, but weddings are not. They are, however, quite reasonable for something that lasts a lifetime, or at least should. The cost to obtain a marriage license is $89 and the cost for the marriage ceremony is $65. Dennis Draeger, San Bernardino County Assessor-Recorder-County Clerk, reported a significant increase in marriage activity on Tuesday primarily due to the sequential date of 11-12-13. County Clerk staff performed 50 civil marriage ceremonies on that day, which is a 194% increase over the typical daily average of 17 ceremonies performed. 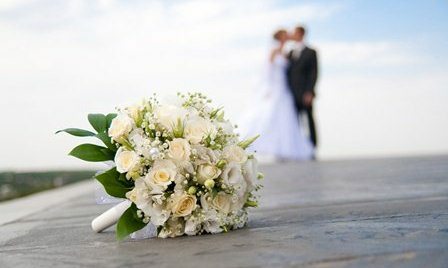 A recent repetitive date that generated an increase in civil marriage ceremonies was 12-12-12, on which 81 ceremonies were performed, a 376% increase. Draeger said there is no anecdotal evidence to explain this phenomena, but men probably pick these calendrical rarities because they are easy anniversary dates to remember. Another traditionally busy day for the County Clerk is Valentine’s day. The next sequential date is 12-13-14.